One of the things I love about writing is that it’s so accessible. All you need is a pen and a notebook (or access to a computer), and you’re off, putting your words down, expressing yourself. But it’s just as easy to lose your way — to let projects go unfinished, to procrastinate, or get distracted. Nobody stands behind you, forcing you to get your writing done. You’re not working for a grade, and there’s no guarantee that your work will sell and you’ll get paid. It’s up to each of us to stay focused and motivated, which is easier said than done. Sometimes writers get caught in an endless cycle of starting new projects and then abandoning them to chase other ideas. Other times we hit a rough patch on a project that causes us to back away from it. Some writers will finish a draft but don’t feel like going through revisions and edits, so the project sits, almost finished, stuck in perpetual limbo. Our lives are full of obligations to work and family duties along with distractions, such as our favorite TV shows and video games. Sometimes we don’t get our writing done because we have more urgent matters to attend to. Other times it’s because we’re tired and would rather zone out on the couch. No matter how much we claim to love writing, we procrastinate when it’s time to sit in the chair and put our hands on the keyboard. It’s not unusual for a writer to wake up one day and realize it’s been months since they’ve done any meaningful work. Every writer has their own reasons for writing. Some want to complete a novel. Others want to get published in a reputable magazine or journal. Some want to make money. Regardless of why one comes to writing, writers often express frustration with their own inability to get the work done. We hear writers lamenting over unfinished projects or how long it’s been since they wrote anything. For a lot of these writers, three things are missing: motivation, focus, and discipline. And one way to cultivate these traits is by setting writing goals and then making a commitment to those goals. It’s one thing to think, I’m going to write a book someday. It’s totally different to make a declaration, public or private, that “I am going to start writing a book tomorrow, and I am going to work on it, regularly, until it’s completed.” Thinking about writing or talking about writing is merely the expression of a vague intention. But making a plan — setting a goal — that’s commitment. It’s concrete. For many years, I thought about writing a book. I talked about writing a book. It was something I wanted to do, something I would do…eventually. I’d get an interesting idea, play with it for a while, and then I would get bored or the project would become difficult, and I’d drop it. Sometimes I started another writing project. Other times, I ventured off into another hobby altogether. During those years, I filled notebooks and created dozens of documents. I got a lot of writing done. But no book emerged. Thinking back, it didn’t really bother me. I wasn’t in a hurry to write a book, and I hadn’t set it as a goal or made any kind of commitment to it. But over time, I got this nagging feeling: Why did I continue to start these projects but never finish them? I started to worry. Maybe I wasn’t cut out for writing a book. I thought a lot about this, and I decided to give it one more shot. But this time I took a different approach: I set a goal — a clear, concrete goal. I decided to write a novel in thirty days by participating in NaNoWriMo. I had read a lot about the annual writing competition. At first it rubbed me the wrong way. It seemed like a gimmick. But then I read testimonials and I checked out the NaNo website. And I realized that it wasn’t about writing a good book or even a publishable book (although that was certainly possible). It was about getting the work done. It was about setting a goal and making a commitment. So that’s what I did. I didn’t set out to write a good novel. I entered NaNoWriMo with zero intent to publish the novel I would write. It was a practice run. A test drive. I wanted to see if I could do it. And I did. That’s how I wrote my first novel — by setting a goal and committing myself to it. I learned a lot from that experience. I learned that when a project gets difficult or boring, if I pushed myself to keep writing, it would get easy and interesting again. I learned that on days when I didn’t feel like writing, I often produced good work, even though I wasn’t in the mood. I learned that the only way to cross the finish line was to remain focused and disciplined. Motivation was a critical component in all this. For me, motivation came from the act of not only setting a goal (to finish the first draft of a novel) but also making a commitment to that goal. Part of that commitment was public accountability. I had blogged about my participation in NaNoWriMo and I had a profile on the NaNo website. But what really drove me was the commitment I had made to myself. I was doing this to prove to myself that I could. The idea of setting a goal and then just throwing it away because it was hard or because I wasn’t in the mood was unacceptable. Since then, I’ve written ten books. I’ve published several books on the craft of writing as well as a sci-fi novel and a children’s book. I’ve also continued to work on other projects, some of which haven’t gone anywhere. And I’ve found that my books only get finished when I tackle them with a clear goal in mind: finish the book and publish it. Most writers want to write a book. But your goals may differ. 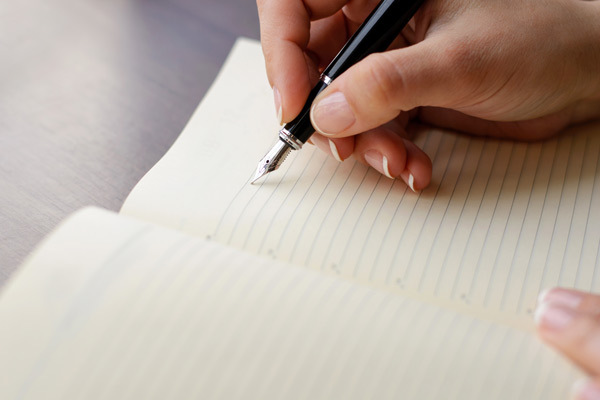 Some writers want to maintain a regular writing practice. Some want to complete short stories and get them published in magazines or anthologies. Others might want to get some kind of writing job. There’s a subtle difference between what you want to do and the goals you set for yourself. If you are not accomplishing what you want with your writing, consider setting some goals. Ask yourself what you really want to accomplish with your writing. When do you want to accomplish it? Don’t hold yourself back by thinking you’re not good enough. Ask yourself how serious you are about your writing. What are you willing to sacrifice in order to make it happen? Be honest and realistic. Make your goals official by writing them down. Be flexible about adjusting your goals over time, especially if you’re new to writing. For example, if you set out to write four novellas in a year but you only finish two, maybe that’s the best pace for your schedule and working style and you need to adjust your goals. Post your goals near your computer or somewhere that you will see them regularly. And track your progress. Check in with yourself regularly to see how you’re doing. You might check in weekly, monthly, quarterly or annually. Use a reminder on your phone or make a note on your calendar to remind yourself of your goals. You can also set milestones. 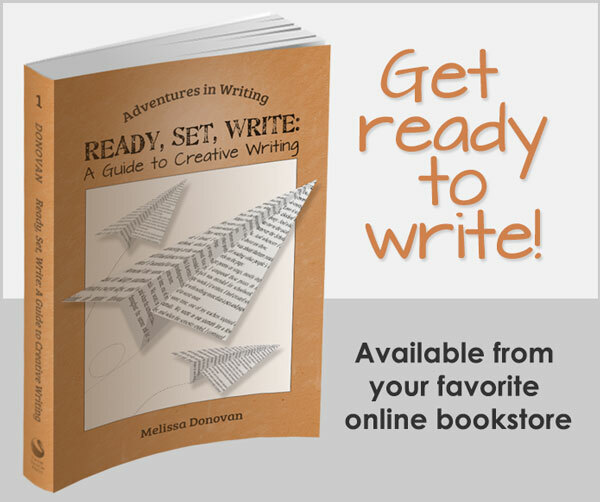 Writing a novel can take a long time, but you can break it into segments: write an outline, compose a first draft, complete a rewrite, and so on. Use each milestone as a smaller goal within your larger goal. You can also set goals based on word count. Maybe you want to write 25,000 words per month. Create a spreadsheet and log your daily, weekly, or monthly word counts. This will show you that you’re making progress. And if even if you miss your goal, don’t give up. When I did NaNoWriMo, I thought it was my last-ditch effort at writing a book, but once I started writing that NaNo novel, I knew that even if I didn’t complete my book that November, I would try again, maybe in a couple of years. Have you ever set clear, concrete writing goals? Did you reach your goal? If not, did you try again or did you give up? Share your thoughts about setting writing goals by leaving a comment, and keep writing! The past few years have been very difficult and, many days, sometimes weeks, I couldn’t write at all. Now that life is calming down, I do set goals but they tend to be unreasonable. When I fail to meet them, I give up for a while. Thank you for the wisdom to reevaluate goals so that they are challenging but not impossible. I have found that reevaluating goals is essential, as is having the flexibility to adjust them accordingly. It’s a lot better than giving up. Keep writing! Like yourselves, I have been working on a project – not a novel but a screenplay – though I sometimes wonder if I should write the story as a novel first, for years. I initially completed a rough draft by following a “how to” book I found to be helpful, then felt like I hit a wall as I wasn’t sure where to do with it from there. I then participated in a podcast that cultivates writers. I was interviewed by the host and a guest host, pitched the story, then received feedback on where they thought the weak points in the story were. I found this helpful in that it allowed me to hear the story as I saw it. The criticism was constructive, but I was, and still am, haunted by it. I felt that it created doubt in my mind about how to strengthen the weak points of the story. Specifically how I could make one of the major supporting characters differ from the main characters. Also, over time, I came to create several scenarios for the characters and the different relationships they had with one another as well as with themselves. I attempted to, and still am trying to, give all the characters, whether it be the protagonist and antagonist and the minor characters their own character arcs. This has made me so exasperated with the story that no progress has been made. I feel so indecisive about which path to take the characters on – in terms of their relationships – that I have so far failed to complete the story. There are times too in which my life has become so hectic (with parenting, in my marriage, with work and all the stressors involved in life) that I have not had the mental energy to work on the story. I have also failed to utilize all that tension in my life to put into the story as the theme of the story deals with all that. Oh and I never give myself permission to care for myself. So, I am simply in a limbo of sorts and depressed about it. But I can’t quite give the story up or move on to another idea, of which I have a few. Hi Matteo. The good news is that the struggles you’re experiencing are not unusual. Most writers experiences these problems, especially the problem of balancing writing with our duties and responsibilities. My suggestion is to simply choose any of the paths you’ve considered for the characters and write it. Just write it. If you don’t like how it turns out, or if you’re still uncertain, choose another path and write that. I would also recommend coupling this process with writing your story as a detailed outline or in story beats. This allows you to structure your story in a document that’s about twenty to thirty pages rather than hundreds of pages. You will then be able to “see” your story more easily in its entirety, and it will be much easier to create variations within the story. Once you figure out the story in this manner, you can commit it to a full draft. 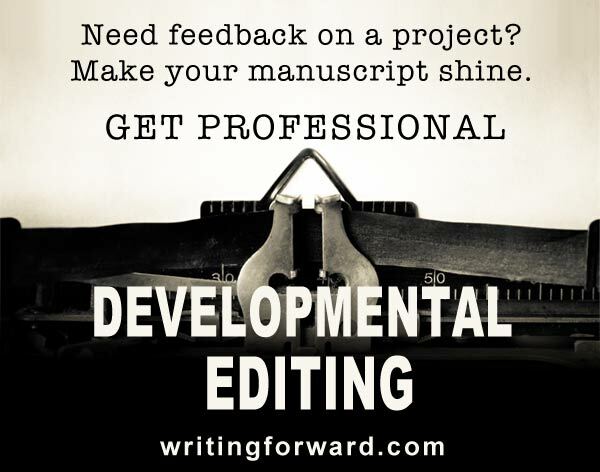 I can’t speak to the credibility or expertise of the podcasters who provided feedback for you, but getting professional help from a writing coach or developmental editor might be a good idea if you remain stagnant and unable to move forward with the project. Keep in mind that making choices for our plots and characters is part of being a storyteller. It’s not always easy, but it’s worth it. guess who’s on chapter two!!!!! also, i have a question for you. the plot for my book is, in a nutshell, this: elissa is supposed to marry a dude she doesnt know or particularily like. she runs off to greece, where she was born. im toying with the idea of having the guy she was gonna marry come with her (no cath thats half the tory ur not toying wth the idea) and having the guy be her love interest.. but being me, i thought it might be nice to hav her run into the son of an old friend of her mother’s from before they moved. and then i thought ‘no no no make him gay u can use him to make the love interest jealous also gay best friend tropes are amazing’ now im considering making moms friends son a girl (elissa is the only person wth a name i know if i do research and find names [yay historical fiction] ill end up falling down a rabbit hole haha) and making elissa gay.. we need more lesbians in ya literature! what do i do?!? !